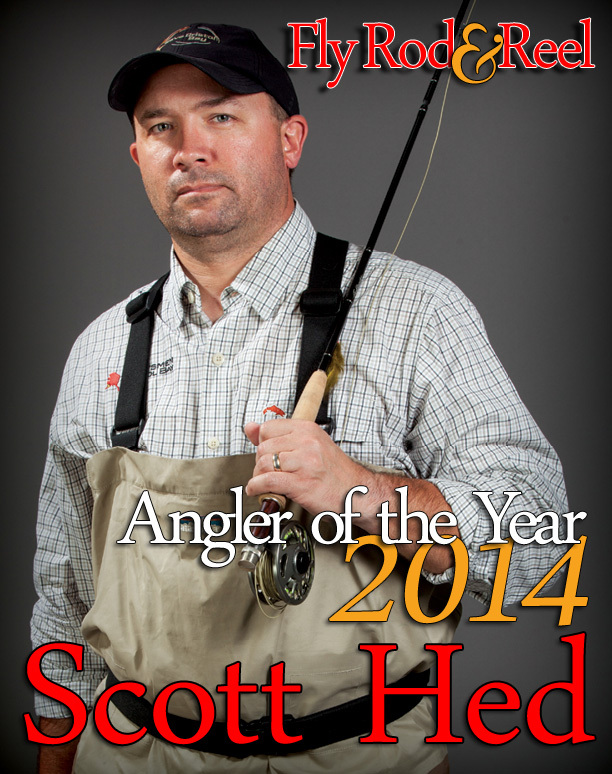 Note: This article originally ran in the Autumn 2014 issue of Fly Rod & Reel magazine. It was an honor to be asked to write it. The PR people had a tough task ahead of them. Their bosses—an international multi-billion-dollar syndicate, headed up by a Canadian mining company called Northern Dynasty Minerals—wanted to start digging on a new project. A huge copper, gold and molybdenum deposit the size of an eastern seaboard state had been discovered in a remote, largely uninhabited stretch of southwest Alaskan tundra, owned by the State of Alaska itself. To mining executives, the Bristol Bay region looked like low-hanging fruit. The deposits at the proposed Pebble Mine site—first identified by aircraft, then by more than 1,000 drill hole tests—were very low-grade, but there was enough ore in the ground to keep a mine operating for up to a century. The total estimated value of the metals was stratospheric: more than $300 billion at 2010 exchange rates. Although actually mining the deposits would cost billions and would require the creation of a hole the size of a meteor strike (not to mention several toxic lakes to hold the mining sludge), the profits were expected to be gargantuan and the local regulators were known to be permissive. Best of all, the only apparent obstacles were some local Native American groups and a few fish. History had shown that nobody cared much about either of them. In other words, it looked like a slam dunk. All the PR department needed to do was keep people focused on the positive: Gold! Jobs! Regional prosperity! Meanwhile, they would need to divert attention from a few—totally minor, easily forgiven—negatives, such as the fact that the shores of Bristol Bay would wind up resembling the Land of Mordor if the project went forward. The fish could all die, too, but if you want to make an omelet, hey, you have to break a few eggs. The mining executives fired up the lobbying machine and started the permitting process. And that’s when Scott Hed’s phone rang. ed (rhymes with “played”) was a conservation organizer employed by an organization called the Alaska Conservation Foundation. After a 10-year career in finance, he had done a career 180 after a serendipitous trip to the Last Frontier. He fell in love with Alaska. “My late mother,” he recalled, “said once you go to Alaska you never come all the way back. That was true for me.” When the phone call came, however, he and his bosses recognized that this would be a bigger fight than anything any single conservation organization had tackled by itself before. They would need allies: commercial fishermen, Native groups, recreational fishermen and hunters, all to develop the political capital necessary to divert a nearly unstoppable phalanx of gold-digging lobbyists and business interests. In addition to multi-billion-dollar international corporations, the State of Alaska itself was in support of the project. Frankly, any objective outsider would have put their chances of diverting the mine at slim to none, but Hed and his colleagues were undeterred. And so the Sportsman’s Alliance for Alaska was founded. Dedicated to bringing disparate hunting, fishing, Native and commercial interests together, the group was attempting something that had never been tried in conservation on this scale before. To understand the size of what this small, scrappy bunch of conservationists was up against, one need only consider the project itself. The “Pebble Mine,” as originally proposed by Northern Dynasty Minerals and its partners the Anglo-American (and later Rio Tinto) mining companies, was to be what is quasi-euphemistically termed an “open pit” mine. Here, the mining complex would cover 28 square miles, with the open pit being approximately two miles wide. It would be 1,700 feet deep—roughly a third of a mile. “Pit” is, obviously, an understatement when one is discussing scouring out that much dirt. In terms of depth and width, its closest analogue would be the Grand Canyon. Because the ore itself had tested out as low-grade, it would need to be trucked out of the giant pockmark and over to a central processing facility, near the shores of Cook Inlet. There, the valuable metal could be separated from the dirt and valueless rock it was attached to. (The deposit dates to the time of the dinosaurs and is linked to Alaska’s strong volcanic activity, which thoroughly mixed the region’s geology, like Oreos in a blended milkshake). Once the valuable metals were freed from their rocky embrace with the earth, they could be shipped, via industrial barge, all over the world. The barges, of course, would have to dock somewhere, so a new harbor—a city, really—would be constructed where today salmon stage for their spawning run. Everything about Pebble—the trucks, the dig, the heavy machinery, the inevitable chemical spills, the toxic lakes, the catastrophic earthquake potential—would take place squarely within the largest sockeye salmon breeding site on the planet. Five Pacific salmon species use the watershed around Lake Iliamna and Lake Clark as primary nurseries. This would be the geopolitical equivalent of building nuclear detention ponds in the Florida Everglades and hoping the hurricanes all went somewhere else. “It just seems like a no-brainer,” Hed acknowledges. “So many people should not have to work so hard for so long to stop something that seems so obvious.” Unfortunately, $300 billion dollars can make even a terrible idea sound attractive. And the conglomerate got a lot of traction. Their permits initially were progressing as normal. Alaska’s Congressional delegation either supported the project or declined to comment. The State of Alaska signed off (and has even gone to bat for the Pebble conglomerate in court). In short, every government, industrial and business concern was prepared to say “Yes” to the project. Hed worked with all local groups including commercial fishermen and Native organizations. At long last, the federal EPA weighed in on the proposed mine, after a lengthy period soliciting public comment, which devolved into a direct competition between mining interests with bottomless pockets and underfunded conservation groups. With Hed’s organization rallying the sportsman community, the EPA issued its preliminary ruling. In January 2014 it proposed invoking section 404(c) of the Clean Water Act for only the twelfth time since 1971, and in July it formalized this with an Intent to Issue Notice of Proposed Determination; the latter set prospective discharge limits on the potential toxic tailings to come out of the proposed mine. Before ground was even broken, the EPA let it be known that only a certain amount of disruption and pollution would be tolerable in the Bristol Bay ecosystem. Given the low-grade resource, which requires massive extraction in order to gather enough ore to make a profit, this ruling effectively makes Pebble Mine financially unviable. Of course, the EPA rarely uses its authority under section 404(c) because doing so almost always triggers a fight. That’s exactly what happened here: Mining interests immediately began a two-front battle in the courts and in Congress to strip the EPA of its authority to, in their words, “prospectively prohibit” a mining operation before it even begins. The mine, they now say, would be far cleaner and not nearly as destructive as they originally proposed. They’ve seen the light. Turned over a new leaf. Just let us dig, they argued, and everything will be fine. You’ll see. Those arguments notwithstanding, public opposition continues to burn white-hot, continually fanned by the Sportman’s Alliance and its allies. Alaska Democratic Senator Mark Begich formally came out against the Mine after the EPA issued its report, specifically because the EPA noted that the mine would likely wipe out the salmon nursery, and in support of the Natives’ expressed opposition. Politically, that would have been impossible without the grassroots campaign waged by Hed and his compatriots. In response to the EPA’s ruling, the Anglo-American mining company, the largest stakeholder in the mine as of 2013, as well as Rio Tinto, divested themselves of all interest, with Rio Tinto actually donating their mining rights to charity to be auctioned off. In so doing, the two mining giants walked away from an investment of at least $540 million. A trapped animal can still be dangerous. In terms of conservation victories, this may be the biggest of all time. Never before has such a small group of sporting, business and Native interests stared down an industrial behemoth and won. This was a Tiananmen Square moment for the environmental movement. With nothing more than a rock and a sling, this little group derailed the Goliath Express. Even the foundation of the National Parks fails to compare, because no National Park has ever been created with actual mining claims staked, half a billion dollars already spent, and $300 billion in profits known to be in the ground. In fact, not since the passage of the Clean Water Act has such a huge victory been won by the conservation movement. Perhaps most important, the anti-Pebble Mine coalition can now serve as a template for future conservation efforts. As long as the odds were, Hed remains unsurprised by the EPA’s ruling. “I thought we would get here all along,” he said, “but I knew it would require tremendous effort by so many individuals.” One thing is clear: In a movement with many players, Scott Hed stood out as one of the greatest protagonists. His efforts have been critical to victory and he has done at least as much as anyone to protect Bristol Bay salmon and other native species, including the humans who live there. He is quick to warn that the fight is not over. “A trapped animal can still be dangerous,” he points out. “If we’re going to slam the door on mining in Bristol Bay, people still need to be vigilant in contacting their Congressional delegations. We need to defeat these bills to strip the EPA of its authority to regulate potential mining discharges under the Clean Water Act.” The remaining mining interests also must be defeated in the courts. While the EPA’s lawyers are up to the task, many conservation groups have submitted briefs in support of the EPA’s interpretation of the law. At the end of the day, the EPA’s powers rest on democracy and the people’s will as expressed by Congress. If the people demonstrate their desire for the EPA to be able to block proposals like Pebble Mine, then the House and Senate will ultimately write those powers into the law, but only if the people make it known so strongly that it becomes politically advantageous to politicians to buck the resource-extraction lobby. It’s enough for us, too. For his dedication and perseverance in the protection of millions of acres of critical fish habitat, for standing nose-to-nose with the titans of industry and never blinking, and for being the voice of a small group of people who are so rarely heard out, where even a tremendous political victory is a potential personal loss, Scott Hed is Fly Rod & Reel’s 2014 Angler of the Year. For more information on Hed’s AOY award and Bristol Bay visit www.sportsmansalliance4AK.org.